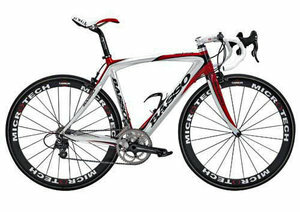 Basso creates hand made road bikes that are custom made to your specifications. While the majority of their offerings are produced with aluminum frames, Basso also offers carbon and steel-framed bikes. Their best features include dual pivot brakes and a strengthened frame (around the drop outs and bottom bracket).